Are You Making These Mistakes While Using Merchant Cash Advance Mailing Lists? Put a Stop to it Now! In the present economic scenario, the traditional banks have ceased to fund small businesses owing to their bad credit history during the recent recession. Merchant Cash Advances have emerged as the ultimate financing option for these developing companies. More and more businesses are considering merchant cash advance to fund their business operations such as paying wages, buying new equipment and merchandise, etc. Continue reading Are You Making These Mistakes While Using Merchant Cash Advance Mailing Lists? Put a Stop to it Now! Posted on July 28, 2016 January 9, 2017 Categories Business Loan Leads, MCA Leads, Merchant Cash Advance Leads, Merchant Cash Advance Mailing ListLeave a comment on Are You Making These Mistakes While Using Merchant Cash Advance Mailing Lists? Put a Stop to it Now! Getting a Quality ACH Leads List Can Boost Your MCA Business. Here’s How. Automated Clearing House, or ACH, is the electronic funds transfer network that processes debit and credit transactions in batches. Businesses find it a convenient way to receive payments from their customers and also recollect funds, especially merchant cash advances. Since the traditional banks have introduced strict policies and ceased to fund small business with poor credit ratings, merchant cash advances are the best solution. However, unlike other businesses such as fashion stores, restaurants, etc. where finding prospective clients is easy, the MCA industry needs a more tricky approach. Finding prospective clients in the merchant cash advance industry is not child’s play. While as a MCA loan provider, you want to find prospective clients, it is really a time-consuming process and sometimes you end up contacting the wrong leads. So, getting a list of quality leads from a reputed lead generation service is the best approach. In this regard, ACH leads lists can prove quite helpful. 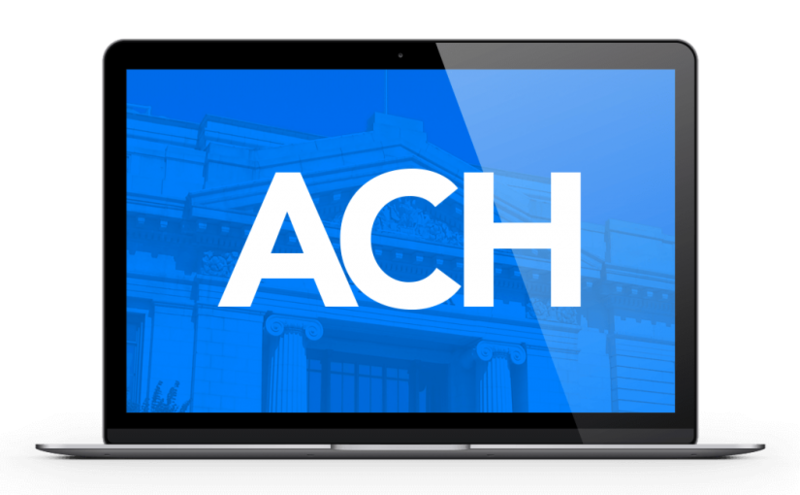 ACH leads contain the names and contact information for all those businesses who are looking for merchant cash advances as a source of alternative financing. Mostly, these businesses are the ones who have previously obtained a merchant cash advance and are expecting to seek this type of loan once again in the near future. Generally, the businesses opting for MCA loans are startups or companies with a bad credit history. To establish themselves in the marketplace, MCA is the best funding option for them. So, getting a quality ACH leads list will help you pitch your MCA loans to the right target audience. Besides this, all the businesses listed are familiar with alternate financing routes; therefore, they prove to be a sorted prospective set of clients for you. ACH records will be an asset for your company’s marketing plans. Here, your target audience is only a phone call or a direct mail piece away. It will save you a lot of time, as you will not have to pick up a telephone directory and start calling random numbers. This will help you boost your sales and profits. For an MCA loan provider, looking for leads, these are very effective, since they bridge the gap between a lender and a borrower. At Merchant Financing Leads, we provide high-quality ACH leads that help you reach your prospects successfully. We are a team of highly-qualified and dedicated marketing professionals who have been in the industry for a decade now and have assisted hundreds of thousands of businesses find prospective clients and sell MCA loans, thus helping them accomplish their goals. Having our fresh, up-to-date quality leads list in hand, you can reach your target customers fast and work on marketing campaigns with a more definite and clear approach, thus generating quick and concrete results. Our ACH leads list are constantly refreshed ensuring that our customers don’t miss out on any opportunity. The ACH records contain the accurate spelling of the company name, a confirmed mailing address, phone number, etc. Also, we provide 100 percent authentic records. We believe it is a good practice to ensure the authenticity of the list prior to executing any strategy further. Get in touch with Merchant Financing Leads today and get quality ACH leads to boost your MCA business now. Posted on July 25, 2016 April 16, 2019 Categories ACH Leads, ACH Marketing, Lead Generation, Merchant Cash Advance LeadsTags ACH Leads, ACH Mailing ListLeave a comment on Getting a Quality ACH Leads List Can Boost Your MCA Business. Here’s How. If you are working in the Merchant Cash Advance industry you are quite aware of the importance of buying fresh UCC lists. As you all know, buying UCC leads lists is always a wiser option than searching for them yourself. Getting fresh up-to-date UCC lists comes with its own advantages. UCC leads lists are records containing important information such as name, phone numbers, city, address, etc. of the businesses that have previously received a merchant cash advance and expect to seek them again. In today’s competitive market, businesses are hunting for leads and looking for innovative ways to generate MCA leads. Being an MCA business owner, you understand the pain of generating leads, ROI, and overall profits. It’s not only about finding the leads, but also about the volume of potential leads that determine the growth and revenue for your Merchant Cash Advance business. Otherwise, you’re out of the show and the entire game is a big flop! Getting a large volume of MCA leads is okay, but to turn these leads into a success, requires a great strategy. It’s entirely up to you to create the good pitch! At times, poor marketing strategies also let the leads and profit slip through your fingers. Handling merchant cash advance live transfers effectively could be easy access for closing your potential clients. This is what delivers the goal and objectives of your business and also helps you achieve your targeted ROI. In this competitive era, businesses are consistently hunting for leads and facing many challenges. Lead generation still continues to be the most challenging and critical problem for businesses. Indeed, most business owners will agree to the fact that generating MCA leads is arguably one of the biggest challenges in the merchant cash advance business. And during this current economic climate, when the traditional banks appear to have been avoiding the activity of lending funds to small businesses yet it has also opened up a host of opportunities for alternative lenders like merchant cash advance to replete the gap. As a business owner, you must be aware of the importance of high quality business loan leads. Finding quality leads is no child’s play! It requires tons and tons of effort and highly focused strategies to achieve a specific and targeted list of leads. The fact is, if you need more potential prospects or leads, you need to find a solution for those business leads that get wasted with each campaign. If your business is not meeting your desired goals and expectations, you need to revise the strategies that you’re executing to meet those goals. Most businesses struggle with an MCA marketing program because those marketing programs never yield good results for them, and they try one solution after another but never get to reach to the root of the problem!